Let me start with a synopsis of my story. In 1983 I was a family man of 29 with a wife and three children, a successful businessman and a Christian who had done missionary work in Bolivia. I was a Bible-reading fundamental believer. My charmed life was abruptly shattered when I returned home from a business trip to discover my wife and children brutally murdered in our home. 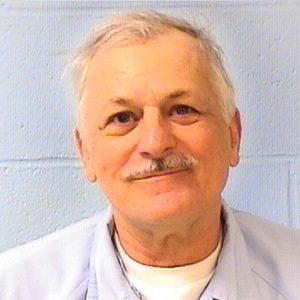 From the moment I arrived, I was the first and only suspect, and one traumatizing year later I found myself convicted of a quadruple murder and given a never-get-out prison sentence. I would suffer through more than seven years of incarceration before the legal system would figure out I was not guilty. Meanwhile, the best-selling book, Reasonable Doubt, by Steve Vogel was published about my case. Tom Henry was one of the first guys I met in prison—and he was memorable. In a place filled with criminals, Tom Henry stuck out as a guy you could count on for sound advice, a helping hand, or a light-hearted witticism just when you needed it. At a time when I was struggling not to lose my faith, Tom Henry was a testimony of God’s love in a sea of moral darkness, not the kind of witness who drums his religion into you, but one who lives his faith, even in the depressing conditions of prison life. Yet I found it difficult to reconcile this goodness with the fact that this congenial guy had brutally murdered two people. And one of them was the mother of his child. I wrote this book because I discovered in Tom Henry a man who demonstrates violence yet gentleness, cruelty yet kindness, selfishness yet benevolence, and the only way to show the full complexity of the man was to write the whole story of the man. And how better than in his own words? Listening to him gave me an insight into his character, and it is my hope that you, my reader, will garner a similar perspective. And I wrote this book because Tom Henry’s story is a darn good one. Below are the first few lines of Tom Henry. The scene is my first meeting with Henry. “You guys mind if I join you?” I said. Three inmates were waiting their turn to play handball in Menard prison’s south yard. One of them broke off from a cockamamie story he was telling about shooting seven deer with six bullets. “So I’m free to stand here but not to climb the fence?” I said. 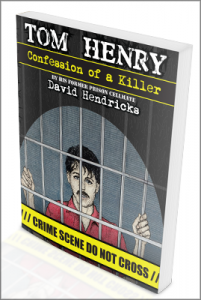 Hear a cassette recording of Tom Henry telling David his story in their prison cell.